How Video Game Makers Design Characters? 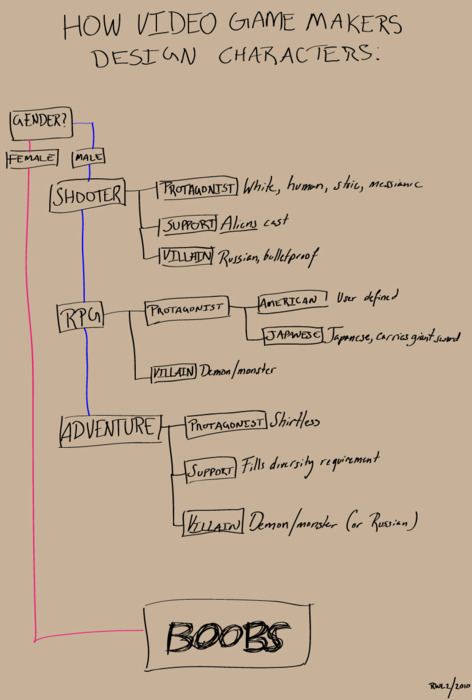 This may be true, but is this really how game makers design characters in video games? Here is an illustration I recently digg on how those wild game makers design their characters. UPDATE: I know this is an old post. But I still think it’s true until today. don’t you agree?